Faison shuts the hotel room door, and Anna reacts to his presence. She’s shocked he was able to fool her, and wonders how Faison could impersonate the man she loves. Faison admits it was easy, and has one of his men drag the real Duke, bound and gagged, out of the back room. Faison doesn’t understand Anna’s interest in the men she’s chosen, since he’s the only man she should ever love. Anna calls him delusional and evil. Faison says he’ll take Duke out of the picture. Anna warns Faison killing Duke will not make her fall in love with him, but Faison is sure in time she’ll turn to him. Anna makes a grab for the henchman’s gun, and Faison drugs her with a syringe. Dante tells Robert that Faison is at a clinic in Switzerland, and Robert knows all about it. He explains Anna&apos;s trip there to look for Robin. Robert is certain Faison lured Anna to the hospital to take her away. Michael informs Starr of AJ&apos;s newfound freedom, but worries about his parents’ reaction. Starr sympathizes with Michael&apos;s feelings of being caught in the middle, but understands how Sonny may feel threatened. She advises Michael to set boundaries, and make his own decisions about AJ. Michael won&apos;t turn his back on AJ, and Starr thinks he should broker the peace. Michael sends Sonny a text that states he’ll meet him at the gym. AJ stops by the gym to inform Sonny of his official release from prison. Sonny introduces Shawn, and AJ wonders if he’s Sonny’s new enforcer. 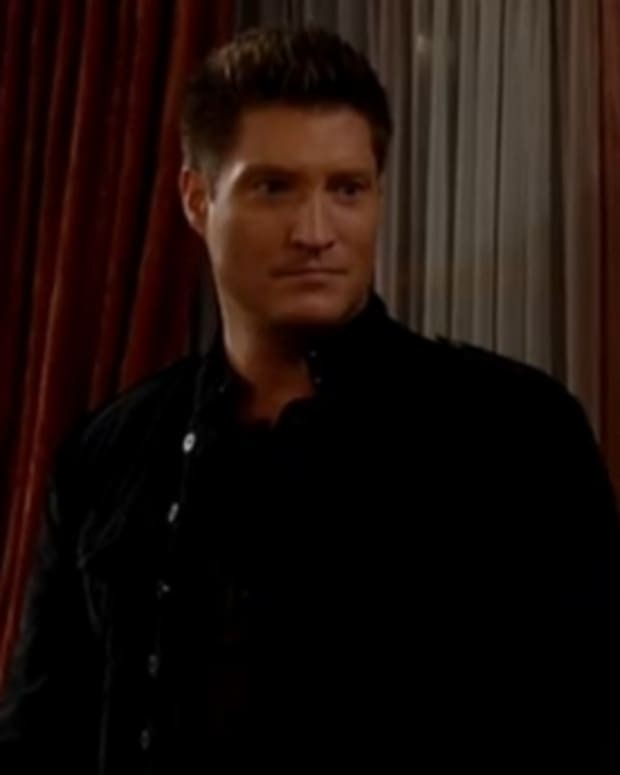 AJ reminds Sonny he’s Michael’s father, and taunts that Michael knows Sonny is just a gangster and bully. AJ doesn’t want Sonny to interfere in his relationship with Michael, because there&apos;s room in Michael’s life for both men. AJ offers his hand, but Sonny refuses it. Sonny asks if AJ wants to join him in the ring for a spar session, and AJ accepts. Alexis runs into John at the PCPD, and he tells her about his new job working as Dante&apos;s partner. She’s glad, since Sam needs him as a friend. She’s been hired to help Robert, and discusses his case with John. 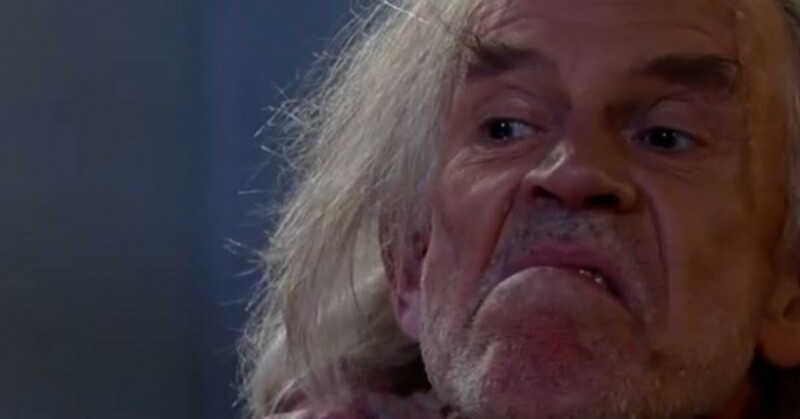 Alexis thinks Faison impersonating Duke is a stretch, and feels Robert may be trying to save Anna because he couldn’t save Robin. Liz finds Sabrina looking at the photo of Lucy Coe, and explains the diva&apos;s history with her. Sabrina wonders how they can reach Lucy, and Felix overhears. He happens to work for her cosmetics company, and can help them out for a price. Felix wants artistic control of the ball, but Liz doesn&apos;t think that&apos;s a fair deal. As he&apos;s about to leave, Sabrina proposes to do his bedpan duty for two months, if he talks to Lucy for them. Felix agrees, which makes Sabrina very happy. John and Dante are trying to locate Anna, but she’s not answering her phone. When Dante calls the ski resort, he finds out Anna and Duke never checked in. Alexis gets Robert released, but only after he agrees to stay away from Duke. 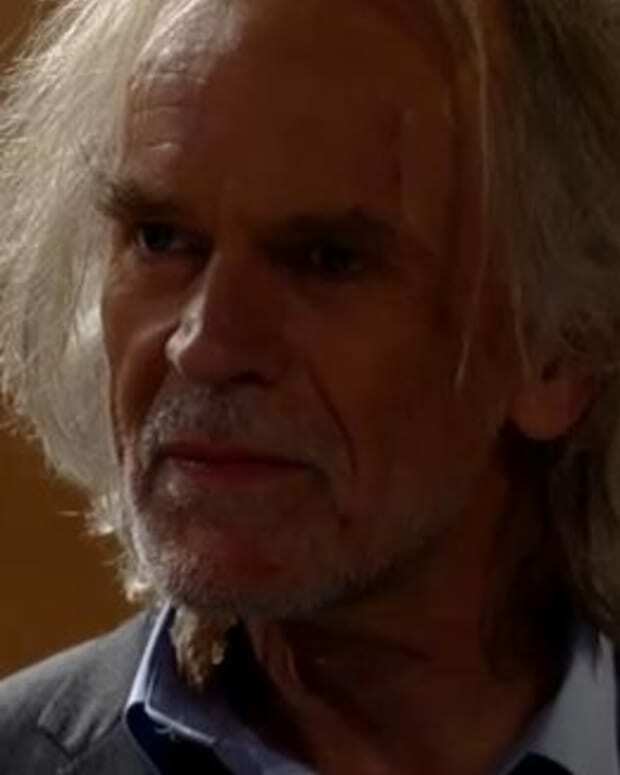 Robert is worried Faison will kill Anna, if she doesn’t cooperate with him. As AJ’s preparing to box, he sees Michael&apos;s text to Sonny and gets an idea. He tells Sonny he tried to make peace, but Sonny stole his son and is a piece of garbage. Sonny gets angry and starts to pummel AJ, as Michael and Starr arrive to witness it. Michael angrily shouts that he doesn’t know who Sonny is anymore. Duke is infuriated with Faison for impersonating him. Faison needed Anna to see them both, and realize Robert was wrong. He pulls out his gun, but Duke says he can’t kill him. Faison fires the gun and murders his own henchman. Faison explains that when Anna wakes up, she’ll find “Duke” and think he shot the thug to save her. By then, “Faison” will have disappeared. Anna will be grateful to “Duke”, and jump in his arms. When Anna finally awakens, Faison is back in his Duke disguise and comforts a frazzled Anna. He claims he killed Faison&apos;s minion, and the real Faison is long gone. Anna declares she needs to find him.